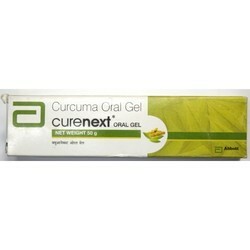 Exporter of a wide range of products which include febuxostat tablets fabulas 40 tableta and curenext oral gel. 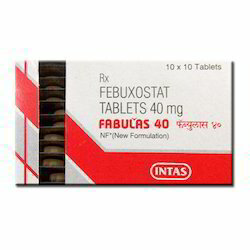 Fabulas 40 Tablet Is Used In The Treatment Of Gout. Take This Medicine In The Dose And Duration As Advised By Your Doctor. Swallow It As A Whole. Do Not Chew, Crush Or Break It. Fabulas 40 Tablet May Be Taken With Or Without Food, But It Is Better To Take It At A Fixed Time. Fabulas 40 Tablet Is A Xanthine Oxidase Inhibitor. It Works By Decreasing Blood Uric Acid, Which Is The Chemical That Causes Gout. Alcohol Caution Taking Alcohol Can Increase Your Uric Acid Levels And Hence Aggravate Gout. Pregnancy Weigh Risks Vs Benefits Fabulas 40 Tablet May Be Unsafe To Use During Pregnancy. Lactation Caution Fabulas 40 Tablet Is Probably Unsafe To Use During Lactation. Limited Human Data Suggest That The Drug Could Represent A Significant Risk To The Baby. What If You Miss A Dose Of Fabulas Tablet? If You Miss A Dose Of Fabulas 40 Tablet, Take It As Soon As Possible. However, If It Is Almost Time For Your Next Dose, Skip The Missed Dose And Go Back To Your Regular Schedule. Do Not Double The Dose.